We had the pleasure this week of meeting an area poet, Steve Pfister. He is a long time Kansan who celebrates the beauty and mystery of the land around us. We at Pen In Hand hope you enjoy his unique vision. Who were you and what secrets did you hide behind those walls? Did you have time to dream or did your daily toil consume your hours? Why is your home held tight by loving vines and leaves? That lingers on the stone and shadows? What were those tales you told beside your lantern lights? Then rise to find the still of morning your sweet friend? Before she laid her in her resting place? In your home held tight by vines and leaves. And hear stories within the glow of lantern lights. I have become too old to cry. 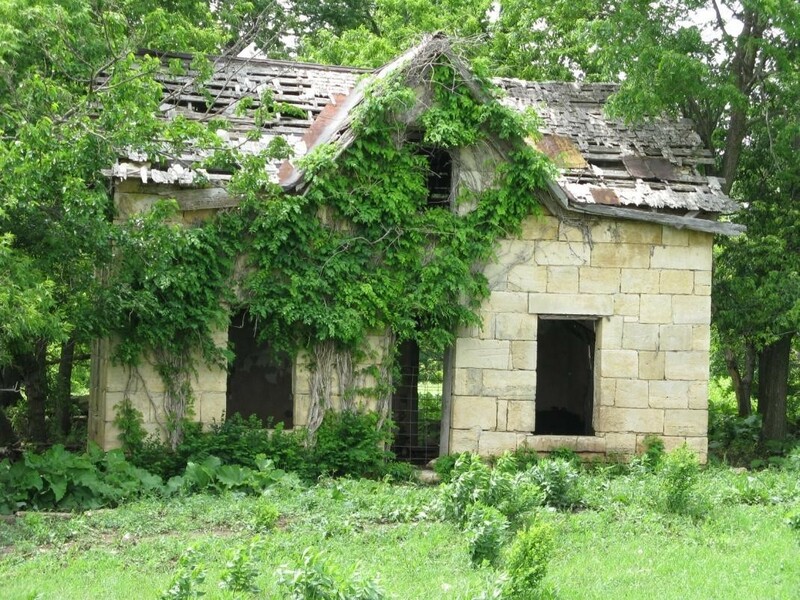 This entry was posted in Family, History, Nostalgia, Poetry, Slice of life, Writing and tagged abandoned houses, Kansas poetry, limestone houses, poetry, Steve Pfister, windmills. Bookmark the permalink.